Including Single Serve Brewers, Drip Coffee Machines & Accessories. 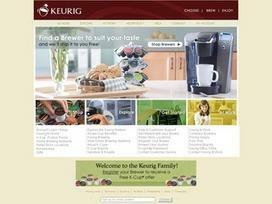 Share what you think about Keurig, and your favorite ways to save there! I have bought 3 Keurig systems for myself and gifts and am impressed with both the quality of the product, but of the company's customer service, both are top-rate! Love the one I got for Christmas-- drink hot tea and love the convenience.